Right now, Gerald Durley is in San Francisco for the 2018 Global Climate Action Summit. Next week, he’s off to New Orleans to speak at a historically black colleges and universities climate change conference. But in between, he’s scheduled a stop in Harrisonburg to talk about climate change through the lens of civil rights. 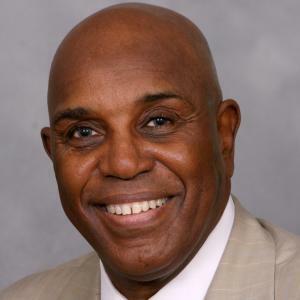 GERALD DURLEY: In 1960 I joined with Dr. Martin Luther King and Andy Young and others in the civil rights movement. At that particular time, we were concerned about civil rights, human rights and voting rights. So I see the same struggle that we faced in the civil rights movement 50 or 60 years ago as being tantamount to what we’ve got to do in the climate movement now. Durley, speaking by phone from his home in Atlanta, has quite a resume: pastor, basketball player, Peace Corps volunteer, federal government official, university dean, and more. Until about a decade ago, though, climate change wasn’t on his radar. DURLEY: It was the furthest thing from my mind. I could care less about a polar bear or tree-huggers. I was concerned about police brutality. I was concerned about the high rate of teenage pregnancy, the inaccessibility of healthcare. But then I began to do something very important: connect the dots. Climate change is an equal-opportunity destroyer. We all have a constitutional right, as well as a civil and human right, to having a decent environment. Durley was first invited here for a local NAACP fundraiser on Sunday. While that’s sold out, he’ll also speak on Monday, September 17, at JMU’s Festival Ballroom A. The 7pm event is free and open to the public. DURLEY: My message is very simple because we know the science. Everyday people want to know what does this mean to me in terms of my health, in terms of my job, in terms of my family. And if we can individually be committed, concerned, convicted and converted, then we can go ahead and really have a movement that’s necessary to make a change.